I was really taken with her cool diecut technique here, so that's what inspired my card. cardstock and then from that, I diecut my Papertrey Ink Spring Woods branches. I blended ink onto my stitched rectangle using my blending tool. and stamped them with their coordinating stamps. and PTI Hawaiian Shores and adhered him to my card. I stamped my sentiment from PTI's Winter Woods. I'm also linking this up to Virginia Lu's Link Up Party. Beautiful. I love the soft pastels. Wonderful pretty pastel colours Leigh, it's a gorgeous card. I need to try that in lay technique some day too. I will give it a try ! What a cool technique and such a beautiful card. So pretty, Leigh! Love the soft colours and spring feel of this! So glad you joined us at Muse this week! Oh Leigh!! Your card is so soft and lovely!! I finally caved in and bought this wonderful set from PTI - it should be here any day! woo hoo!! Hope you are having a blessed Sunday! Leigh what a beautiful card! Your inlaid die cutting is perfect! 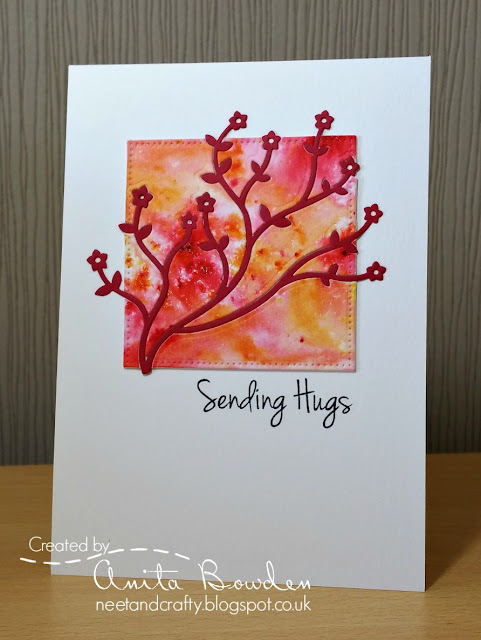 Love the Spring colors - beautiful card! This is soft and ever so pretty Leigh!! Love the soft pastels you used, Leigh, this is really pretty!! So pretty with those soft colors! So impressed! I love this to bits! So glad that you join the fun over Virginia’s View “Friendship” Challenge! Oh, I LOVE this! So cool how the dies go off the edge, and I adore your bird on the branch design. Gorgeous colors! Wow! This is lovely!! The pastels just rock the images!! Oh what a lovely card. The soft Spring colors are perfect for this beautiful scene, Leigh! Just popped in from Virginia's View Challenge blog to say this card is lovely! Love the inlaid diecut "look" with this set!